Now New Order’s music is being celebrated with the upcoming Rhino reissues of their first five albums that were originally released on Factory Records. Due out in the U.S. on November 11, each of the albums is augmented with a bonus disc of non-album singles, B-sides and remixes. Hook has a new band, Freebass, which includes a configuration of three bass players — himself, Gary ‘Mani’ Mounfield (ex-Stone Roses and now in Primal Scream) and Andy Rourke (formerly of the Smiths). Currently the group is working on an album featuring a cast of guest vocalists, including the Smashing Pumpkins’ Billy Corgan and Primal Scream’s Bobby Gillespie. 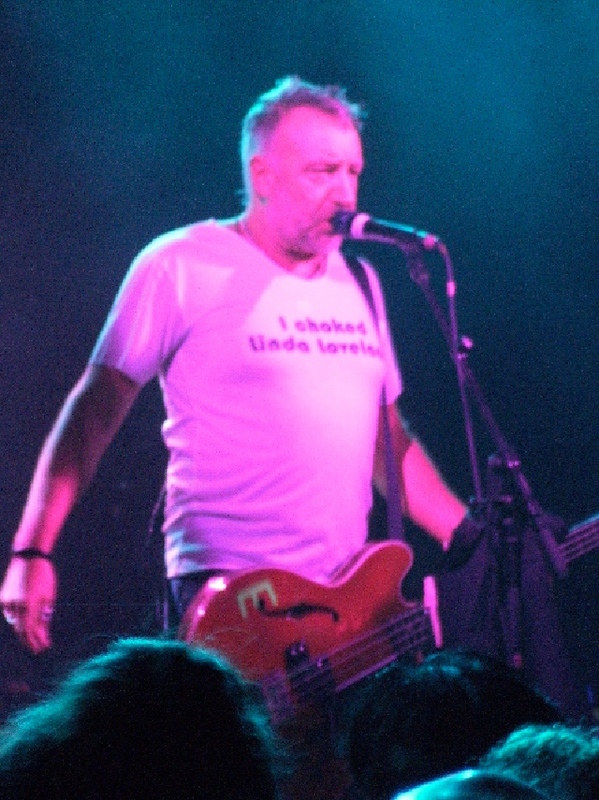 Hook, who is also known as ‘Hooky,’ speaks to Spinner about those early New Order albums, his current projects, including a book called ‘How Not to Run a Club,’ and the legacy of his former bands. He also reveals that New Order wasn’t all that serious and detached as the band’s image conveyed. Congratulations Peter on the New Order reissues. What was the extent of your involvement with them? It’s a strange thought because I was having this discussion when we were arguing about content with the reissues. And now we’re saying to the record company, “You can’t f— with this. It’s a hell of an undertaking.” To me, it’s not to be taken light and [it needs] to be done properly. Most people never get one release, for God’s sake. I want to trace the history of the band through the albums. New Order’s 1981 debut album, ‘Movement,’ was recorded after the death Joy Division singer Ian Curtis. What was the atmosphere like in making that first New Order album, and was it hard? It was very, very difficult actually. It was confusing. [Producer Martin Hannett] was making us work through the night. So literally you felt like your whole life was dark, because you were waking up at 6 o’clock at night, going into the studio, and [work until] 6 o’clock in the morning. It felt pretty down anyway. None of us were very sure about what we were doing. None of us felt very comfortable. Was making the second album, ‘Power, Corruption and Lies,’ easier after ‘Movement’? Definitely. The interesting thing is that ‘Movement’ was the beginning. If you look from ‘Movement’ — [songs like] ‘Temptation,’ ‘In a Lonely Place,’ ‘Everything’s Gone Green,’ ‘Procession’ — you can see things getting a little light. The tracks we did after ‘Movement’ are brighter. ‘Blue Monday’ was New Order’s biggest hit single at the time, and it now celebrates a 25th anniversary this year. I went to a premiere of a football DVD last week and ‘Blue Monday’ was the first song they played. It was wild and it sounded great. What a bloody skill involved in doing that! Fantastic! Did ‘Low-Life’ really mark the transition for New Order from post-punk band to dance group because the dance influences were pronounced on that record? I would say ‘Low-Life’ to me is probably one of our most complete albums and our most accomplished. Because when we got to [the next album] ‘Brotherhood,’ there was a bit of a division in the group. I mean, it’s a hell of a thing to do to actually sit there and go back through all these tracks and listen to every track that we done in the past 30 years. It’s a hell of an undertaking. It’s like ‘Whoa!’ I must admit that I found some gems that I haven’t heard before. So out of those first five New Order albums, what is your personal favorite? You are now in a group called Freebass that has three bass players from other bands — yourself, Mani from Primal Scream, and Andy Rourke, formerly of the Smiths. Tell me about that. It was funny how it started. Obviously the bass players were the best part of any band. What you should have is a band of bass players and then you have no problems. It’s funny because Mani said the same thing to me. We were great friends, Mani and I and Andy Rourke. So it seemed logical. The thing is we didn’t know when we began what would happen. Mani plays at a completely different style. Andy Rourke plays a lot of guitar on the stuff we did. So there are about three or four tracks where we all play bass. It’s gonna be interesting live, let’s put it that way. It took a lot of work but since we got Gary Briggs on board as our vocalist, it’s really come together. We’re right on course now for [the album] to be out in the spring. You also recently took on a second career as a DJ. How did that happen? I always thought that DJs were a bunch of egotistical spoiled bastards playing other people’s music. And when I became one I fitted in perfectly. I resisted up until about four years ago. Mani was stuck — somebody let him down on a gig — and he needed two DJs. I went along and ‘lo and behold, it worked. I found that I really enjoyed it. As a DJ, do you spin New Order songs? When I began I didn’t. But I realized when people come to see me because of what you’ve been through. A lot of people come to see you because they like New Order music, and you made it. So I had to find a way of to sort of please them. You are penning a memoir about your time at the famous Hacienda nightclub in Manchester from the ’80s and ’90s. How’s that coming along? I finished the first edit, so it’s looks like we’re on course for having the second one for about the end of October. I’ll be editing that one, so that one’s on course for next spring. How are the events from that time depicted similarly or differently is your version compared to how they were portrayed in the 2002 film, ’24 Hour Party People’? ’24 Hour Party People’ was the most inaccurate. ‘Control’ was mch more accurate. My book will be the truth as I remember it. These days I find that everybody remembers everything completely different. So I think you have to sort of tread a middle ground with it all. [Factory Records owner] Tony Wilson always used to say to me, “Hooky, fiction is always much more interesting than fact.” I suppose it depends on who’re you’re talking to, isn’t it? Getting back to the present, is New Order officially finished? Yeah, we split up. And that’s it. There was this previous report that Bernard and Stephen will continue on with the group. I don’t mind them continuing on. If they are going to call themselves New Order they’re gonna find it’s not going to be as easy as they think, because I don’t think they are New Order. They don’t own it no more than I own it. After 30 years, New Order and Joy Division are still popular as evidenced by these reissues and the movies. Could you ever have imagined those groups would still be regarded as influential to this day? It’s not something you think about everyday. Life is hell of a lot bigger than New Order. The thing is that I’m very proud and I’m that happy that it lasted. I don’t know whether it was a combination of luck or whether we were just very good at our job. New Order has always come across as a very serious group. So has there ever been a funny or poignant memory being in the band that sticks out for you? Millions! We may have been very, very serious, and this was the same thing with Joy Division, but we weren’t very serious at all. We were just quite normal. Millions of poignant memories. I’m glad to say that listening to the reissues, it brought that side of it more than me, Bernard and Stephen arguing like three kids. I have to be grateful for that because I realize as people we achieved a hell of a lot and made a wonderful mark in what we’ve chosen as our profession. There are not many people that can say that.